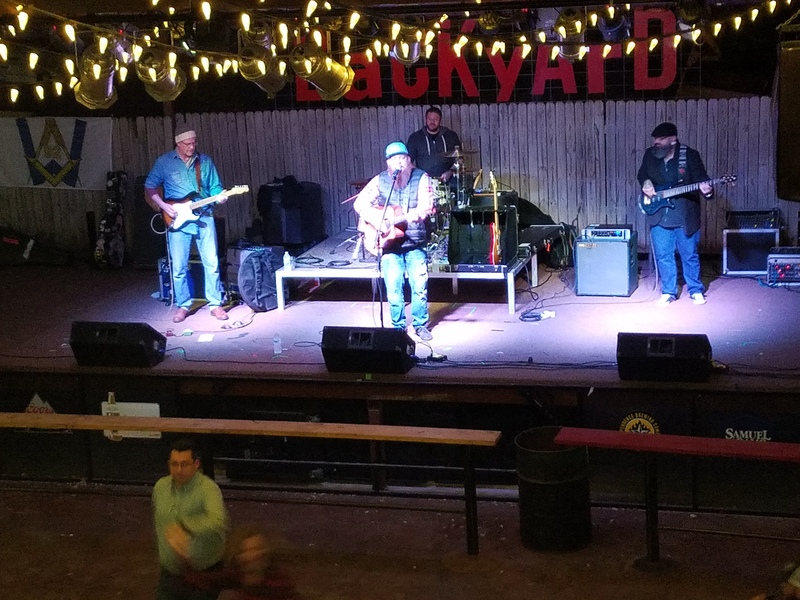 Starring country singer-songwriter Brandon Jenkins with guests from Hiram & Solomon Cigars, Fossil Bluff Fine Crafts, and our very own artist Brian Broadway, the third annual Waco Masonic Concert was a blast. 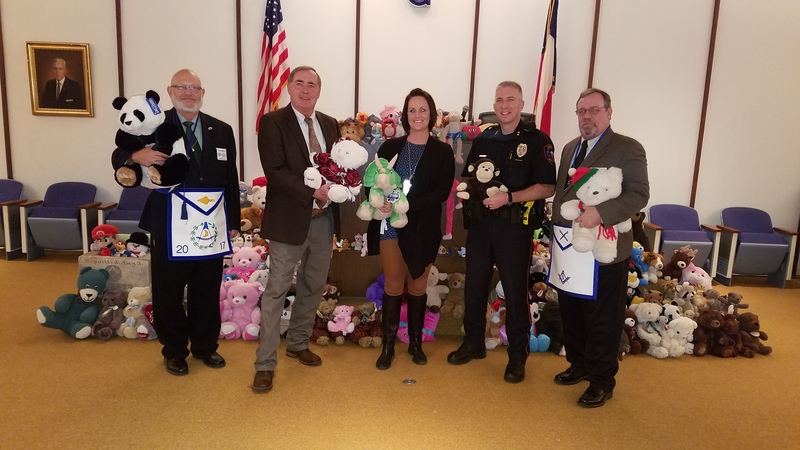 300+ attendees made for a full audience and more than thirty masonic lodges were represented. During the show, the new Grand Master of the Masonic Grand Lodge of Texas Tommy Chapman got up on stage so the crowd could wish him a happy birthday and good luck on his year in the Grand East. Brother Brandon Jenkins put on a fantastic performance as he made his return to the Waco Masonic stage and Brother Mike Stanley, a local performer, provided the opening act. Johnnie Hutchins of Chalk Mountain #836 presented Bro. 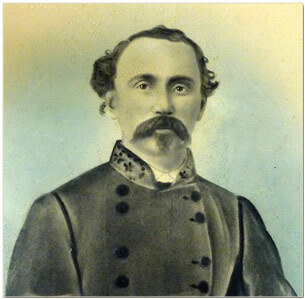 Jenkins with a custom masonic metal emblem. Who Was That Man on the Big Screen? 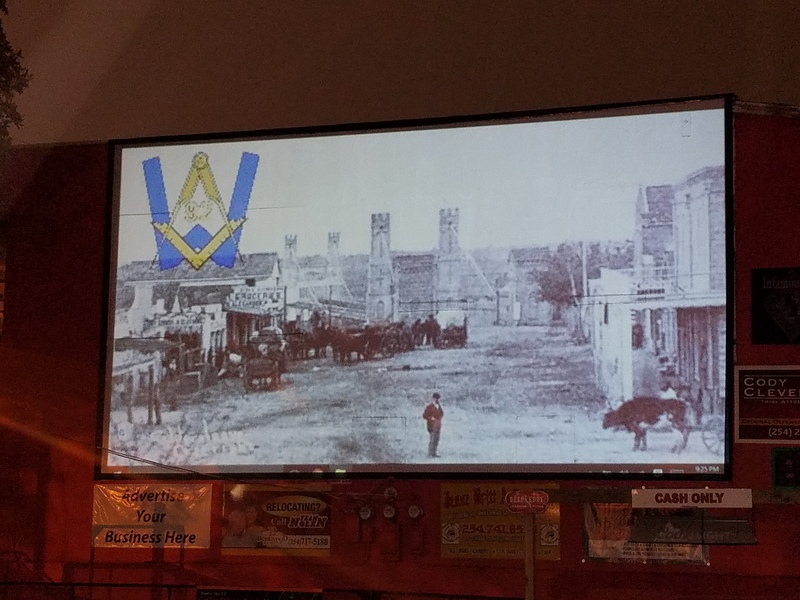 During the show, an image of the Waco Suspension Bridge was cast upon the big screen with Waco 92’s logo. The photograph was taken in 1870 right after our lodge members built the Suspension Bridge. They owned it for several years and some of our lodge members worked as tollkeepers on the bridge. Also in the photo is a lone, mysterious pioneer. His name was Seth Mills and he was also a member of Waco Lodge. In the photo, each of his hands is on a Colt .45 as he had just returned from a trip during which he delivered a herd of cattle to the Kansas cattle market ON FOOT! Immediately following the photo, he used the cash from the trip to purchase a wagon so as to never have to walk to Kansas again. To read more about Seth Mills, click here. Some photos from the event are in the slideshow below. Clicking each slide will take you to a website relevant to that slide’s content such as a pictured brother’s lodge site or something else. Behold How Good and Pleasant! The masons assembled filled their bellies with bbq while Brandon Jenkins got warmed up. This group of men is becoming more and more notorious for their unsurpassed shenanigans in Texas Masonry. Earlier this year, they endowed a scholarship for perpetuity. Bro. McCaghren, Papa Chris, and the legendary Rhit Moore. All three are leading culprits of the Fort Worth Posse. If you see them at your lodge, you better be square. A group of well-respect men gathered at 92 to make a video for Grand Lodge.